Welcome to Hike Lion’s Head! Hike Lion’s Head services include Lion’s Head hike, Table Mountain hike and the hikes in Cape Town — Lion’s Head trail, walks, treks and tours. Visit Lion’s Head Mountain with some of the most beautiful hiking trails in Cape Town. Along Lion’s Head hike near Cape Town, sight see Cape Town attractions. Attractions include Cape Town sunset, signal hill viewpoint and Table Mountain outlook. 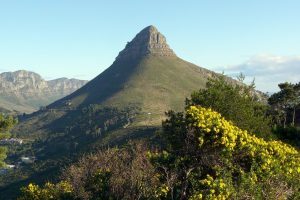 Many of the Table Mountain hikes can be seen from a Lions’s Head hike. The Lion’s Head trail has a distance of 5.5 kilometers and a height of 669 meters. The height of a Lion’s Head hike is not as high as a Table Mountain hike but Lion’s Head hike is far more beautiful than Table Mountain hike. Guided Lion’s Head hike times depart daily. 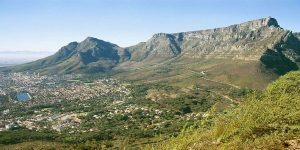 Famous Cape Town hikes like the Lion’s Head trail, is best done with a professional hiking company. On our hikes and other treks we explore Cape Town’s most spectacular mountains, enjoying and being inspired by beautiful scenery that includes enormous mountains, wildlife, pristine oceans, natural streams, and roaring waterfalls. On most days throughout the year we offer half day and full day hiking trips in Cape Town. Half day hikes up Lion’s Head make up the vast majority of the 3 different routes we offer each year, and the three routes range in difficulty from easy to strenuous. ​Are you interested in joining us on a hike? If so, go to the “Contact Us” section below and read about how to get started. E-mail us or call (+27) 817625551 if you have questions. Hike Lion’s Head is a business and also a long time running group of passionate hikers, currently with more than 3000 reviews on Trip Advisor, many clients join us on more than one occasion (always enthusiastically) — on our day hikes and other activities including backpacking, trekking, walks and tours. We get a great (lively, interesting, different) couples and group on the trips. You don’t have to be an elite to participate, but hikes are easy for unfit people and even suitable for the super fit. Hikes are low price and our guarantee is that you will get value for money. Choosing to hike with us supports a local economy and gets you the best qualified hiking experience for what boundless nature and landscapes that Cape Town has to offer you. For more about fees and costs, and how to join our hikes, go to Lion’s Head, Table Mountain or Kirstenbosch Gardens main pages. Transportation from Cape Town City is available on all of our outings for those who live in the Cape Town metropolitan area or who choose to ride with us from the city. Participants who live elsewhere — and our trips attract substantial numbers of people from all over Cape Town and outside of Cape Town — drive directly and meet us at our destinations. We are headquartered in Cape Town central. We’re currently based on the foot of Lion’s Head and Table Mountain, about 5 minutes drive to the mountains. Beginners and seasoned hikers are welcome on the trips. We are savvy hikers and other nature lovers. Instruction and care will be given in addition to assistance for those who need it. ​(1) If you’re not already decided on which hike you’re going to do then go to the “Hikes” page with a selection of all the hikes we do. If you need more time to decide then you’ll note that we have a page that compares hikes. (Optional) Navigate to the “Compare hikes” page where day hikes are rated in difficulty from easy to strenuous. Technical level and other useful information are available on this page for evaluation. If you’re not sure which level of difficulty is right for you, Please email us with your questions or phone us at (+27) 817625551 (2 ) Take a look at our Hike Times where you’ll find a listing of our trips and their hiking times updated to the season. If you have your date in mind then you’re ready to go. Skip the next steps and go straight to our “contact page” where we will respond to you with the booking details of your hike. (3) For more about our trips and fees, go to the respective hiking page. Lion’s Head, Table Mountain or Kirstenbosch Gardens main pages have the prices for the hikes along with more information to better serve your booking. (4) If you’d like to learn more about hiking in general — including hiking gear, safety, weather considerations, times, trail maps, directions and more etc. — go to our Hiking Blog, which consists of several hiking posts. (5) When you’re ready to join us and/or to reserve for trips, go to the contact page and state your hiking needs. ​(6) Fill out the relevant portions of the form, including your contact information. If you’re ready to reserve for one or more hikes or other trips, tell us the date or dates you’re interested in. ​(7) Send the form. When the form with your details reaches us, an e-mail acknowledgement will be sent to you, as well as a separate confirmation for any trips you’ve reserved for, which will include info about what to bring, the meeting time and place, etc. ​(8) If you have questions, or need clarification about fees or anything else, don’t hesitate to call us at +27817625551 or e-mail us (at the bottom of most pages is a Contact Us or Email Us link). Also, feel free to get in touch to check on space as late as the day or evening before a trip. And let us know anytime you’re reserving for a trip that’s less than a week away. ​(9) Get ready to enjoy some memorable hikes with us in the beautiful mountains and natural areas of Cape Town! Why Join a guided hike? Guided hikes provide a great way for solo hikers to connect with others or groups can even be rest assured of an enjoyable hike in nature with a private guide. Guided hikes we offer have a schedule of hikes in a variety of mountainous locations on trails that you might not always find by yourself. It’s given that we are the experienced hikers who are independent-minded and adventurous, who enjoys discovering and exploring nature and find happiness in sharing our passion with others. But guided hikes also meet the needs of many of us who have limited free time to research and may not be experienced to venture out by ourselves (because of safety considerations, and/or a preference for sharing with others interested parties the enjoyment and excitement of an activity in nature like hiking). Guided hikes, hiking tours, and other outdoor businesses are widespread in Cape Town and other cities. 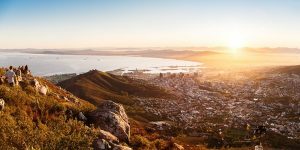 The opportunities for hiking near Cape Town are so extensive, the Cape Town metropolitan area alone is home to two dozen or more guided hike companies. Some are rather small and don’t even have websites, and quite a few accommodate particular groups with interests including group tours, team building tours, solo travelers, couples, hikes with children and more. But the majority of guided hikes welcome anyone who wants to join the tour and participate in a guided excursion. Most ventures are run by part time guides, and guided by volunteers or semi professional guides. Some guided hiking companies are rather too casual and not well run, while other guided hiking companies are excellent and organised while at the same time offer an extensive hike schedule. ​Hike Lion’s Head is different in a number of ways from other hiking businesses, adventure tours, and outdoor businesses (you can read all about us on this site) — including the reason that all of our day hikes and outdoor trips are led by a single person, well-known hiking and adventure tour expert/guide from Hike Lion’s Head. However you found our website on Google, TripAdvisor, Facebook or other, chances are that you love individual sport and hiking or who would like to become a hiker for the first time, and you’re probably looking of similar mind to hike with us. In our overly busy and western world it isn’t always easy to find good friends or companions to hike with, even at last minute. If you hike with Hike Lion’s Head you’ll be joining what our clients constantly tell us is one of the best and most interesting guided hiking tours in Cape Town, with three excellent hikes to choose from on weekdays, weekends and all year-round. Meet and share memorable times with people who share the same common interest, while visiting the most scenic natural areas of Cape Town. Over +3000 excellent reviews on our TripAdvisor – Lion’s Head.